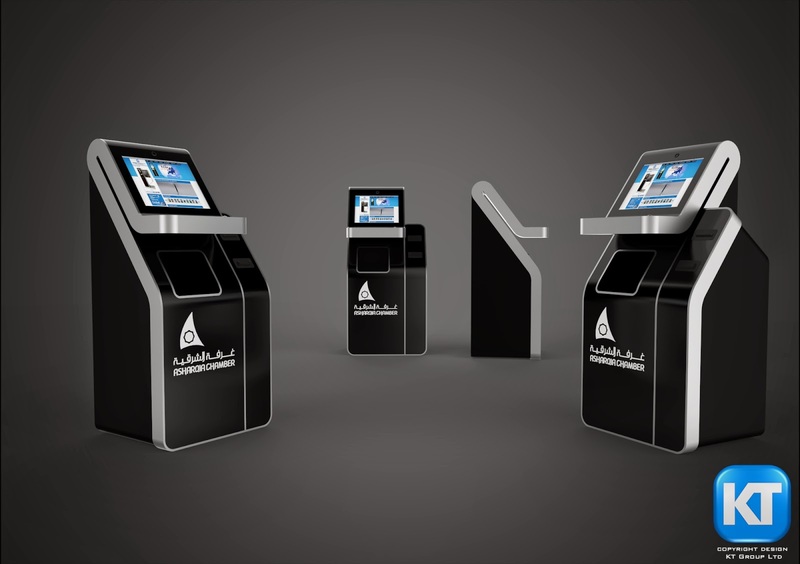 The custom terminal design was initially developed in 2014 for a Middle Eastern client who were searching for a manufacturer of kiosk terminals that could design a solution which had several key characteristics. 2. Functional for a individual to be able to stand in front the user interface and be able to with ease use the different multi functionality of the machine provided in one full cycle, example find correct document then proceed to print out a hard copy after receiving payment for the document purchased and then be able to type in the fields required and submitted it for approval and print a copy for users own records. 3. Be able to manage cash withdrawals by security firm easily therefore creating a safe work environment and also an efficient process so that labor interaction was kept to a minimum. 4. Separate payment with machine, ensuring that support technical staff were not able to access payment safe when fielding service onsite. 5. Provide a solution that could be financially acceptable to deploy in field with budget provided. KT Group with seat in Hong Kong specializes in providing cost effective self service custom design solutions we are a company that works on key characteristics of a machine hardware road map with ingenuity and specialist knowledge no opportunity passes without defined quality control process so that we can deliver a working solution to the clients needs.